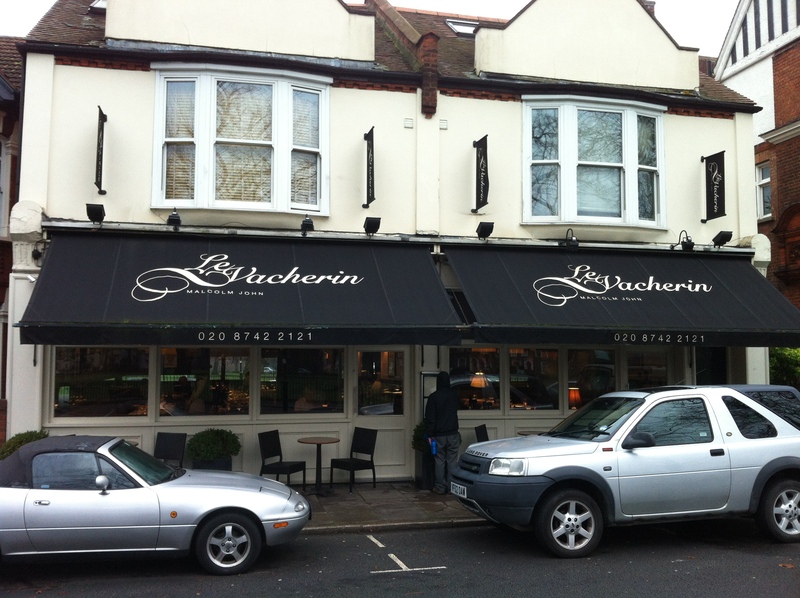 Le Vacherin | Restaurants of the World Unite! Having endured an abstemious start to the year, after what was admittedly something of an old-fashioned blow-out over Xmas, I’ve fallen into my old, self-indulgent ways. 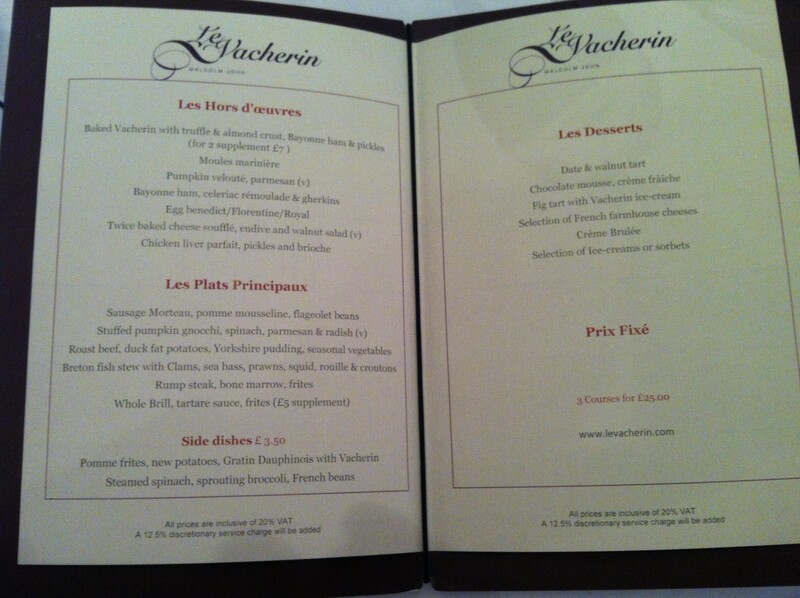 Yesterday I feasted at The Belvedere, today it was Le Vacherin (http://www.levacherin.com/). It was honkingly good eating. 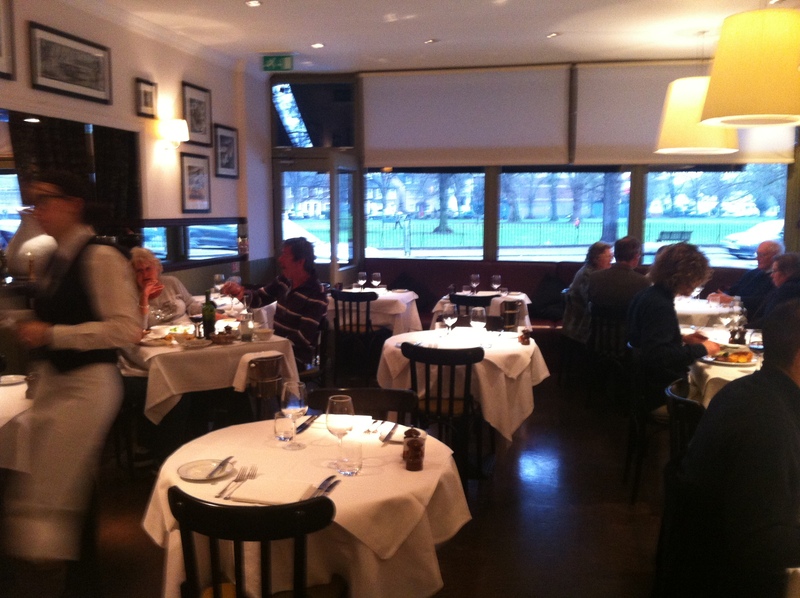 I’ve been to Le Vach (as I like to call it) a couple of times before. My first visit included my almost overturning the table and throwing wine all over the pristine white table cloth in the process. Twice. In quick succession. They didn’t remember me, more fool them, as I managed to spray mussel juice over the table and my future sister-in-law (allergic to mussels that she is) as she was trying to not send her steak back for being over cooked. I’m not going to unpick that sentence for you. As it happened, I ended up shoe-horning myself into another diner’s starter and S-I-L’s main thereby doubling my intake of vittles, straining the good humour of my company and my belt line soon thereafter. I regret nothing! 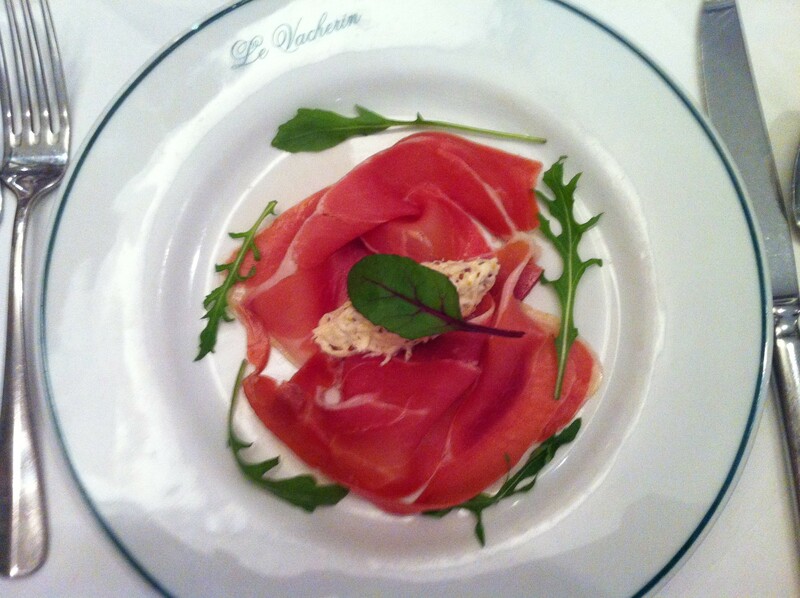 The Bayonne ham was as good as any parma or serrano – there may be subtleties I’ve not picked on confessedly …. 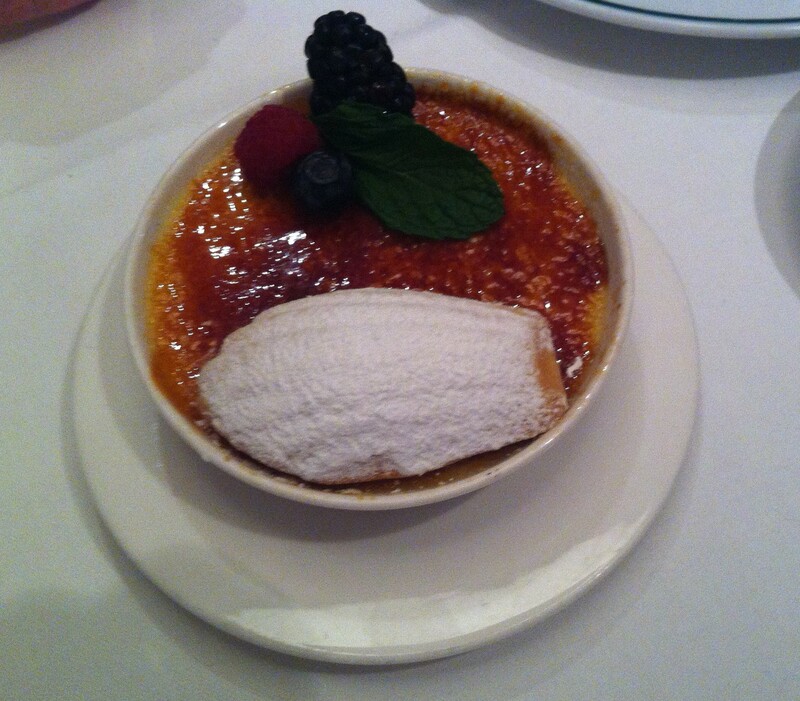 I wouldn’t pass a Pepsi challenge is my point – the Gruyère soufflé was a delight. My fellow diners went for Roast Beef and the aforementioned steak. 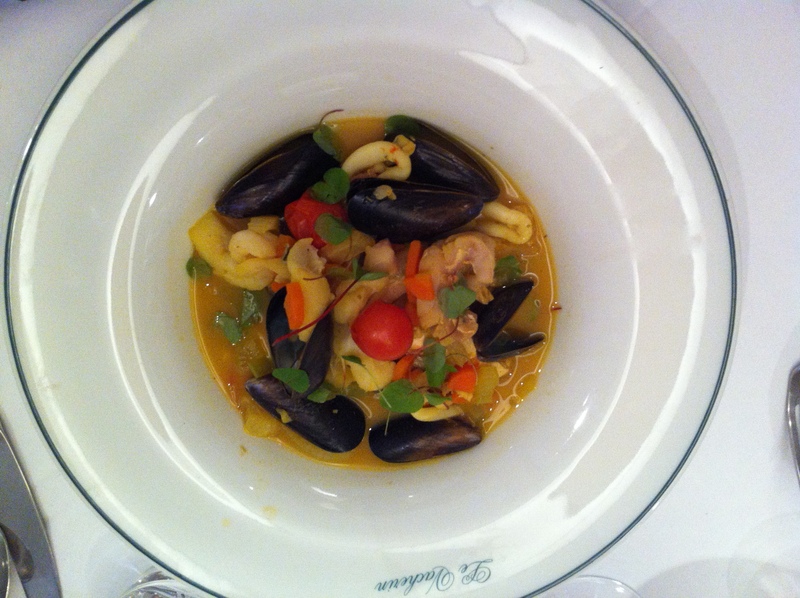 I opted for the Breton fish stew, the juices of which were highly moppable with the bread provided. The steak had not been cooked to order (very, very rare), (this was latterly revealed to be a kitchen mix-up), so was replaced with a perfectly cooked steak, accompanied by profuse apologies, which I ended up scoffing. The chips were kickass too. 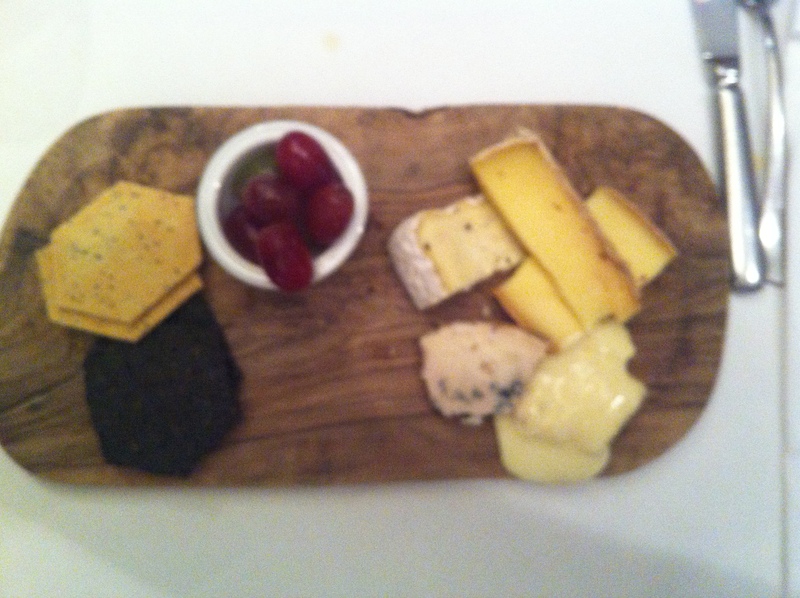 Excellent cheeseboard and crème brûlée. 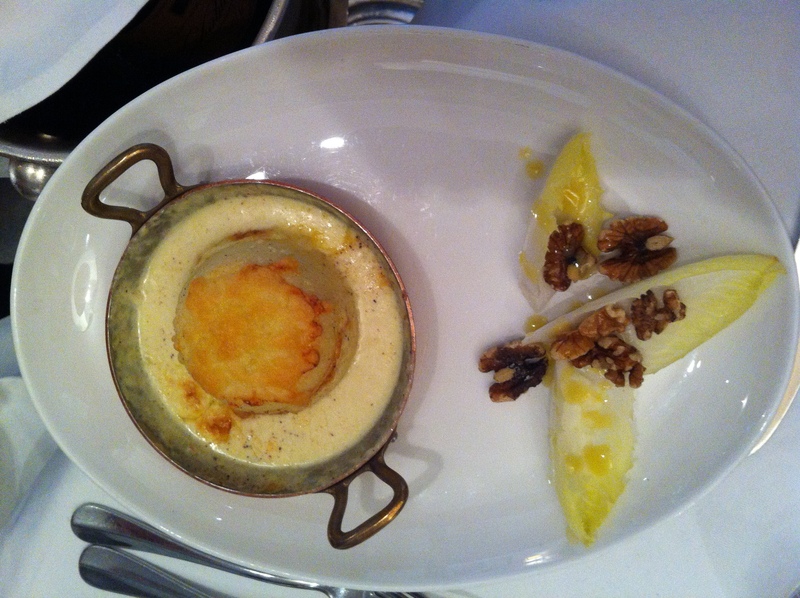 The vacherin flavoured icecream accompanying the fig tart was delicious too. Somehow. The Sunday menu is £25 for three courses. You really can’t go wrong. Bless those Frenchies. God i miss that place. The steak was sublime. And the wine too actually. It spills so well there.